The coldest days of winter have plagued Albertans since the start of February, leaving plenty of people and their pets stuck inside. Wool socks and a thick jacket can help humans brave the frigid temperatures but pets need to be protected, too. Kären Marsden, a vet at the Edmonton Holistic Veterinary Clinic, said frostbite is a serious concern for cats and dogs. Their ears, nose, and paws are the most vulnerable areas, she said. Warm water or a heating pad can be applied to the affected areas. It’s a good sign if the tissue turns pink, Marsden said, but a dark purple colour indicates it has been damaged and a trip to the vet is needed. 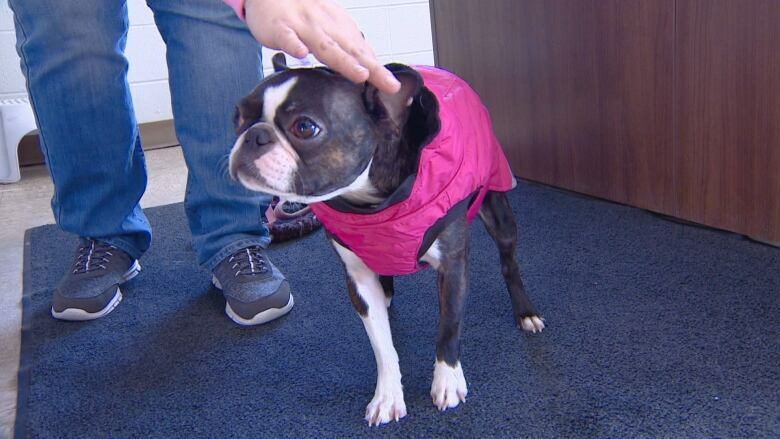 Like humans, pets can dress for the weather to prevent frostbite. Dogs should wear a coat and boots when temperatures dip below –20 C, and shouldn’t be outside for long periods of time, Marsden said. 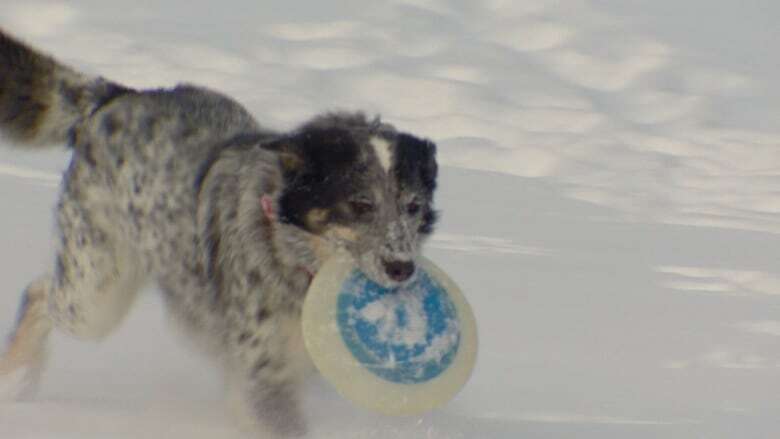 Despite the deep freeze, dogs still have to be taken outside regularly, Marsden said. Bilinda Taras Krupa, an applied dog behaviour consultant and trainer with K9 Misfits, recommends putting shavings or pee pads down in the yard, so pets’ feet don’t freeze during bathroom breaks. Leaving dogs inside all day with nothing to do can lead to behaviour issues, said Taras Krupa. 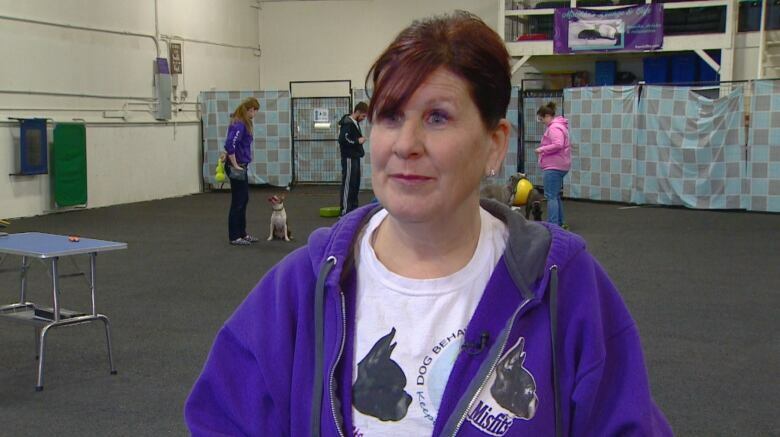 “What happens is with multiple-dog homes, is you get dogs fighting more and then aggression issues [develop] because they’re not used to their normal routine,” she said. But she said that can be avoided by keeping pets mentally stimulated. For dogs, that means training. “You can exhaust your dog in 10 to 15 minutes depending on the breed of dog — some dogs even less time — by doing some simple, basic exercises and making it really fun,” Taras Krupa said. Practising commands like ‘sit, stay and come’ can keep a dog entertained and help burn energy, she said. Hiding treats in toys can also keep pets entertained, she added. For outdoor cats, Marsden recommended putting more catnip around the house. Taras Krupa noted behaviour in the cold weather varies from dog to dog. Jillian Heiberg’s dog, Winnie the Pooch, is one pup that loves the snow. Winnie is a Blue Heeler-Great Pyrenees mix, and has a thick undercoat, Heiberg said. The pair played fetch with a Frisbee Sunday afternoon in Rundle Park. Heiberg said Winnie’s body language can indicate if she gets too cold.